The Philoxenia Ganossis Hotel and Studios are located along the seafront next to a pine forest peninsula. 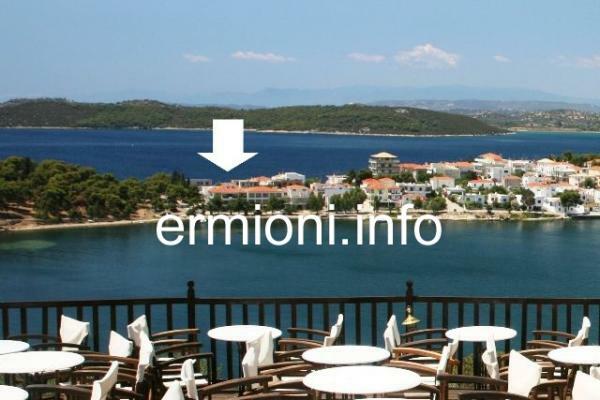 The Ganossis family have been looking after visitors to Ermioni since 1918 and continue today with the same friendly service. The Philoxenia hotel and studios are open all year, and offer a daily maid service. The owners speak English, Greek, French, German, Italian and Spanish. Philoxenia offers modern, fully equipped air-conditioned rooms with kitchen (some 2 roomed for 4-5 persons) internet, TV and central heating to guarantee your stay is a memorable one. Philoxenia's location makes it an excellent base for sightseeing and day trips. The Argo-Saronic islands of Hydra, Spetses and Poros can be reached within the hour by FlyingDolphin hydrofoils and SeaCat boats. Epidavros with its ancient theatre, the beautiful capital city of Nafplio, ancient Tiryns, Argos and Mycenae are also easy to reach by car. Please contact Philoxenia direct: Email: info@philoxeniaganossis.com Tel./Fax +30 27540 31218 for rental details and availability. Click onto www.philoxeniaganossis.com for more information and enquiry form.